U.S.S. Saginaw, 1859 This paddlewheel gunboat was the first warship built on the west coast of the United States. It was the first ship built at the Mare Island Naval Shipyard on the north edge of San Francisco Bay. This is a 1/8″ scale scratch project, using plans from the National Archives. Yacht America, 1851 George Steers famous yacht that brought home to New York the 100 Guinnea Cup from England, which later became the America’s Cup. This is a 3/16″ scale scratch plank-on-bulkhead model using kit plans from Model Shipways. Model Ship World This is perhaps the largest ship modeling site on the web and is now part of the Nautical Research Guild. It’s a good place to find and share information, and to find examples of some very fine ship modeling work. The site is heavily moderated to keep the community feel and to keep the site as useful as possible. Ships of Scale Another site that I used to maintain a couple build logs on. Ship Modeling Forum I haven’t been on this forum in years, but it was always a good place to browse the photos and to look for answers to ship modeling questions. Model Ship Builder A nice site, that’s moderately active and one that is oriented toward scratch modelers and plank-on-frame modelers. The site also organizes projects and publishes some plans including a very nice set of plans for building a cross-section model of H.M.Bomb Vessel Granado. Note that this site has announced plans to shut down. The Lumberyard The lumberyard supplies milled wood and boards of a large variety of species. They also produce timbering kits of most Hahn models and a few of their own that include plans, laser cut building jig and some key laser cut parts. Also custom combinations are available on request for those who just need the jig, but not the laser cut parts, etc. S.H. Goode & Sons This shop has absolutely the highest quality modeling wood that I’ve ever seen. It’s a bit pricier than some and pieces are generally shorter that what other provide, but with him it’s about quality. For larger quantities of wood, you might want to go elsewhere. But for those things that really stand out, you want the finest looking wood you can find and Goode & Sons is hard to beat. [Note: Ships only to USA and Canada.] The shop also mills a very wide selection of wood varieties. National Balsa Sells more than what the name implies. This company sells basswood, cherry, mahogany, maple, sitka spruce, walnut and birch plywood as well as balsa. This is more large scale stuff, good for building up hulls in bread-and-butter fashion, so they sell stuff in planks, but also in smaller sheets as well as milled strips down to about 1/16″. Northeastern Scale Lumber This is a good supplier of hobby wood. You will find their stuff sold by hobby shops and online dealers, and they are a big supplier for doll house makers and railroad modelers. Their prices for milled cherry wood are very good, which is one reason I tend to use cherry in models a lot. With the rise of ship modeling wood supplier like the Hobby Mill, I don’t buy from these folks as much as I used to, but not for reasons of pricing or service, which are both A+. Gilmer Wood For those who do their own milling, this supplier is very good to know. This place was recommended to me by a local hardwood supplier that doesn’t deal in the kinds of hardwoods a ship modeler wants. Gilmer Wood has people there who know what ship modelers are looking for and will send you what you need. The only down side is that there is a $100 minimum order. Hobby Mill – Now Closed. I used to buy nearly all my milled woods from Jeff at the Hobby Mill. His service was truly unmatched and the quality of the milling and wood was excellent. However, he recently announced that he is closing his business. His problem? He got TOO successful for a one-retired-man-shop. He’s still taking orders through the end of the year, but deliveries are further delayed due to the sheer quantity of orders he’s gotten since his announcement. Crown Timberyard – Status Uncertain. Crown Timberyard started operations just about the time that Hobby Mill was winding down. The shop primarily deals with Castello Boxwood, Swiss Pear, Cherry, Maple, Walnut, and Holly. They also have been providing wood packages for popular scratch building projects. Unfortunately, since the early Summer 2017, the site has indicated that online shop is closed for maintenance. I have seen no information on why. Wood Project Source I’ve never used this supplier, personally, but they have been around since early 2016 or 2015. The site is not very informative about the company itself, but it is active and appears to be a supplier for Syren Ship Model Company. The shop carries Castello Boxwood, Alaskan Yellow Cedar, Swiss Pear, Cherry, Maple, Mahogany, and Purpleheart. BlueJacket Longtime maker of solid hull kits, some plank-on-bulkhead and a couple specially designed plank-on-frame kits. This company, formerly Boucher Manufacturing Co., also produces high quality parts cast in britannia pewter (and some in brass) and carries some books and supplies as well. Model Expo What I like best about Model Expo is their Model Shipways line of kits. These are very high quality kits of mostly American subjects. They are pretty much all basswood construction, well researched and well priced. The company also has the best customer support in the industry. Mess up some parts in constructing your model and they’ll replace them free! The fittings they sell are of unpredictable quality, however. Also, don’t purchase anything until you’ve located a coupon code that you can use on their website – there is always a useable code available. Otherwise, you’ll pay a premium for what you get. Zootoyz This Japanese online hobby dealer is a great source for Japanese model kits. They have an english language page and carry a large number of kits by Woody Joe, Japan’s only wood ship model kit maker and maker of some really interesting castle and temple kits as well. Ages of Sail This company has grown in less than 6 years to become the main importer of ship model kits into the U.S. They are the U.S. distributor for Amati, Billing Boats, Caldercraft, Occre, and Saito model kits, among others. They also carry the full line of Amati fittings as well as those of Billing Boats. They opened a store front in 2012 where they’re located in San Lorenzo, CA. It’s a great place to visit if you like wooden ship model kits. A while back, they also purchased the website Billing Boats USA, which they now maintain. A.J. Fisher This age old company is still around though in a somewhat low-key way. They have been slowly expanding their line of kits, which are all solid hull, but they have unique subjects like the Pilot Boats Dancing Feather and John McKeown, the Baltimore Clipper Lark, the 1852 Great Lakes Schooner Challenge, and the 1930 Biloxi Schooner Miss-Lou. You can also purchase just the solid hulls from them if you prefer. They have a catalog is available that includes a good selection of fittings. Syren Ship Model Company This company popped up only a couple years ago, but supplies the best blocks, rigging line, turned brass cannons, and other laser-cut specialty parts in the industry. Also produces plans and parts to build a 1/8″ scale plank-on-bulkhead model of the cutter HMS Cheerful, with more to come in the future. Morope For a long time, this seller of model rope was the best available. They still produce the best Z-laid rigging line available. The only issues with the product is that it has to be tied off or glued in order to prevent it from unravelling. The Lumberyard for Model Shipwrights The longtime supplier of woods for ship modelers has also been a long time supplier of timbering sets for plank-on-frame style models based on the plans of the late Harold Hahn, Today, these “kits” include the needed timber, plans, framing jig and many laser-cut parts including decorative scrollwork, deck beams, keel, etc. In addition, the Lumberyard also manufactures several kits including the Revolutionary War Brig Lexington, based on Clayton Feldman’s work, the Private Armed Schooner Lively, created by the late Jim Roberts. While these two are plank-on-bulkhead kits, they also produce a plank-on-frame kit of the American brig of war Oneida. Lauckstreet Shipyard Ship modeler Bob Hunt has produced many detailed practicums over the years to help ship modelers new to the hobby as well as those who want to seriously improve their model building techniques. Lauckstreet Shipyard also offers a couple complete kits as well as a nice laser-cut framing package for building a full plank-on-frame model of the schooner Hannah. Micromark This is THE online shop for small tools for modelers, whether ship modeler, railroad modeler, doll house maker or what have you. The company also makes a line of power tools under the Microlux label including table saws, lathes, vertical mills, thickness sander and more. They also carry specialty supplies like scale lumber, brass tubing, casting supplies, etc. Byrnes Model Machines Jim Byrnes makes several bench top power tools specifically designed for the ship modeler and they are the best you can buy. His table saw is outstanding, but he also makes others including a very high end precision rope walk. All his tools are machined out of high quality aluminum, so they are very sturdy and durable. Sherline Products I’ve recently added Sherline’s equipment to my workshop. For miniature work, Sherline is hard to beat. There are two bench top tools they make, a metal working lathe and a vertical mill. They have many variations on these two machines, but they all essentially use the same basic parts. What I love about these is not just the precision quality, but that you can add to your machine as you go. For ship modeler’s Sherline is the industry standard. Seaways’s Ships in Scale This is the premier magazine for ship modeling enthusiasts. It comes out every two months and is packed with articles on ship modeling, book reviews, construction tips and more – A very good value. 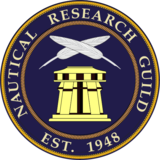 Nautical Research Journal The publication of the Nautical Research Guild or the NRG. This quarterly publication is a tremendous resource for ship modelers and historians. The Guild’s motto, “Advancing ship modeling through research,” is clearly visible in the Journal. Some of the finest work can be seen in its pages along with excellent research on fascinating ship modeling subjects as well as of general maritime interest. I highly recommend joining the NRG, not so much to get the Journal, though you will get that, but to support a terrific organization and pave the path for future ship modeling development. Seawatch Books The source for some extremely high quality ship modeling books. These are pricey books, but there are none better. At the time of this writing, the only things available are advanced books for the advanced ship modeler. In particular, these are all for the scratch modeler. There are a couple general non-modeling titles, but more for the ship model connoisseur. Ancre Books Those looking for extremely well researched titles might consider the works of Jean Boudriout and Hubert Berti. This French company carries some of the best known titles in the ship modeling world. Although most of the titles are in French only, some have been translated into other languages as well, including english. Shipping to the US, at least in my opinion, shouldn’t be trusted to regular surface mail. Things have a habit of being damaged or disappearing completely, and you won’t know for 6 weeks. But, that means shipping by express delivery which can be very expensive. Still, their products are amazing and worth looking into. Naval Institute Press Some of the best ship modeling books available today are published by this organization. While most of their publications are historical books, they have produced quite a selection of titles for ship modelers including Rigging Period Ship Models, the Period Ship Modeler’s Handbooks, the Anatomy of a Ship series, and more. Moved to their own page under Resources. Douglas Brooks Boat Building My interest in this man’s work is specifically with his five apprenticeships with Japanese traditional boat builders. He has written much about his work and about the art which is close to disappearing. His activities help to carry on the knowledge of these rare watercraft. He has also written a book on the Tub Boats of Sado Island, which is still available directly from him. It’s essentially a book written in Japanese, but includes an English translation of the text in the back. His second book Japanese Traditional Boatbuilding was released in 2015, describing the boats and boatbuilding tools, materials, and techniques, and also details his five apprenticeships.